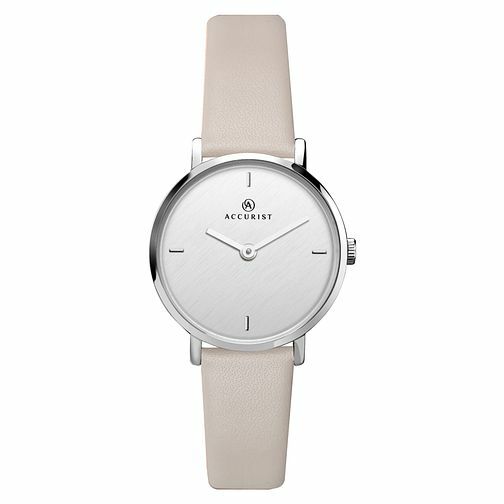 This ladies' Accurist watch features a stainless steel case with curve crystal silver dial and a light grey leather strap. This watch is also water resistant to 30 metres. Accurist Ladies' Silver Dial Grey Leather Strap Watch is rated 5.0 out of 5 by 1.